We are back! 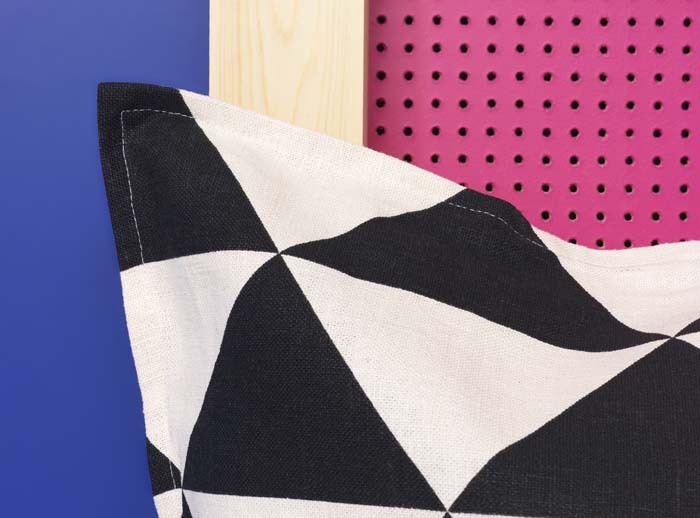 Was nice to take a bit of longer break this year, and we have a few new ideas to share with you soon, but first can we get a little bit excited about all the new stuff we had a preview of over at IKEA for February? Being the geek fans that we are, we have to share a little sneak peek with you! (Above BURVIK side table). 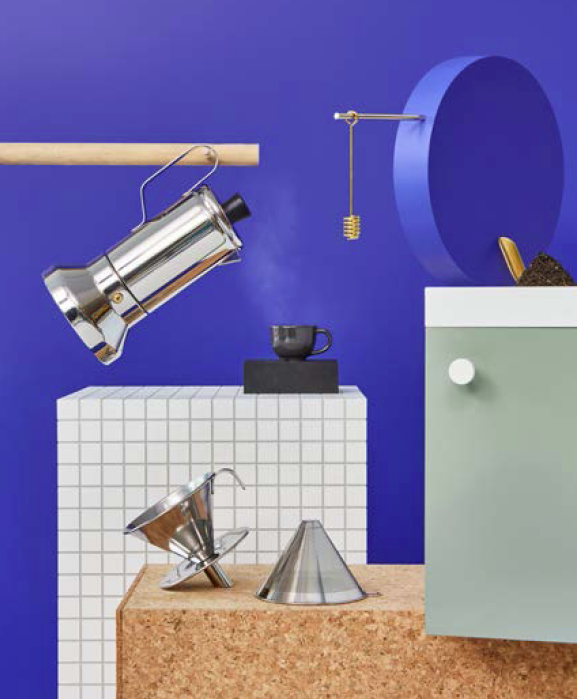 A few things that caught our eye; a range of energy-saving shower heads, a really cool metal coffee filter that replaces the need for ordinary paper filters, along with a collection of products that are all about colour-blocking, simplicity in shapes and experimental with materials. 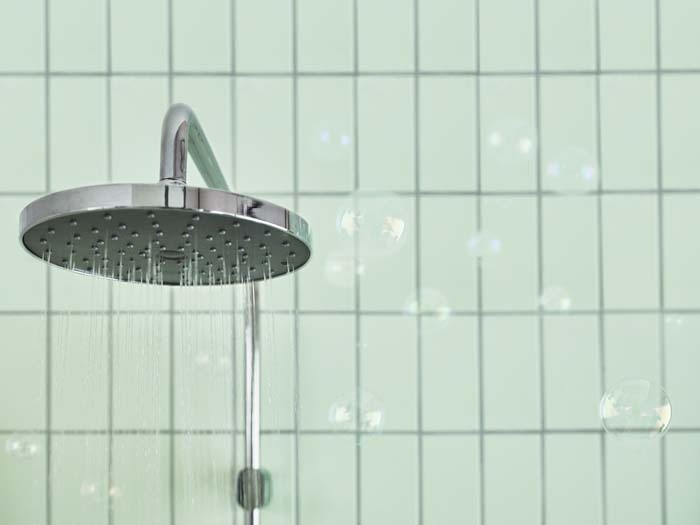 (Above) As mentioned, we're kind of excited about these new shower systems. 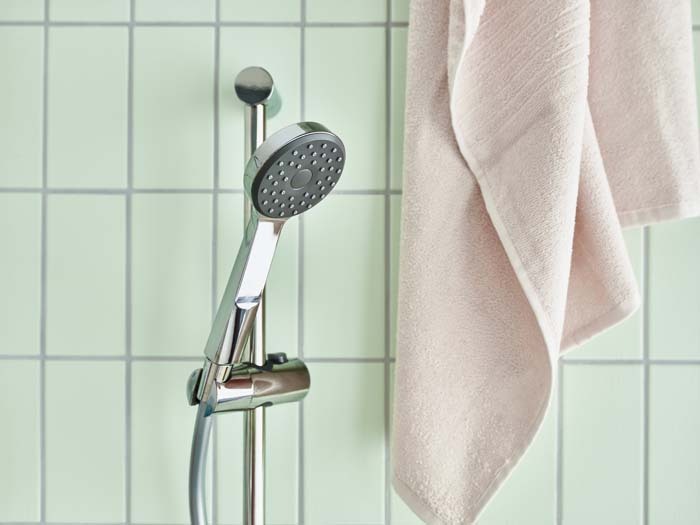 From thermostatic mixers, optional spray-function heads, hand showers and full shower sets and even smaller kits too. 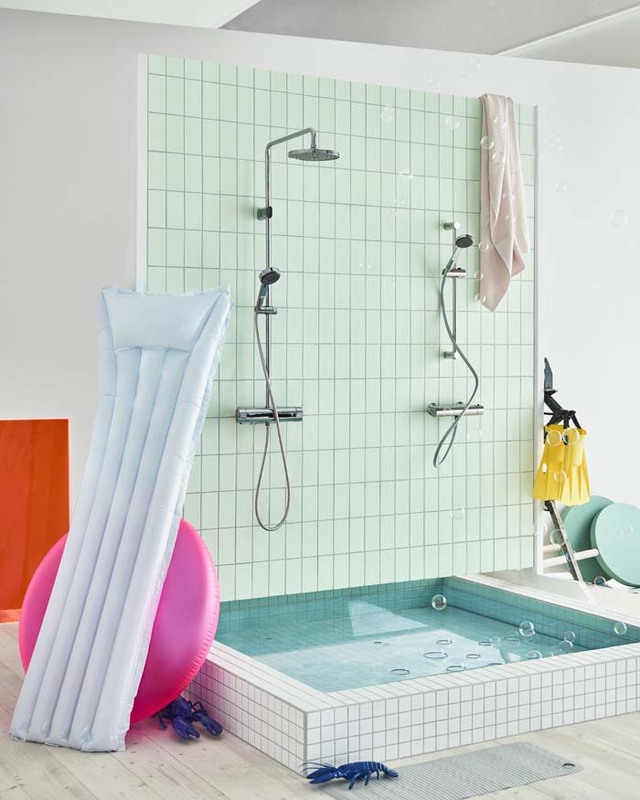 Featuring different styles and what we think are rather affordable price ranges (if you're comparing anything similar) —and all have water and energy-saving functions like a 38-degree safety button, anti-scald features, and shower heads that come with three or five-spray functions, with effects ranging from full to massage. 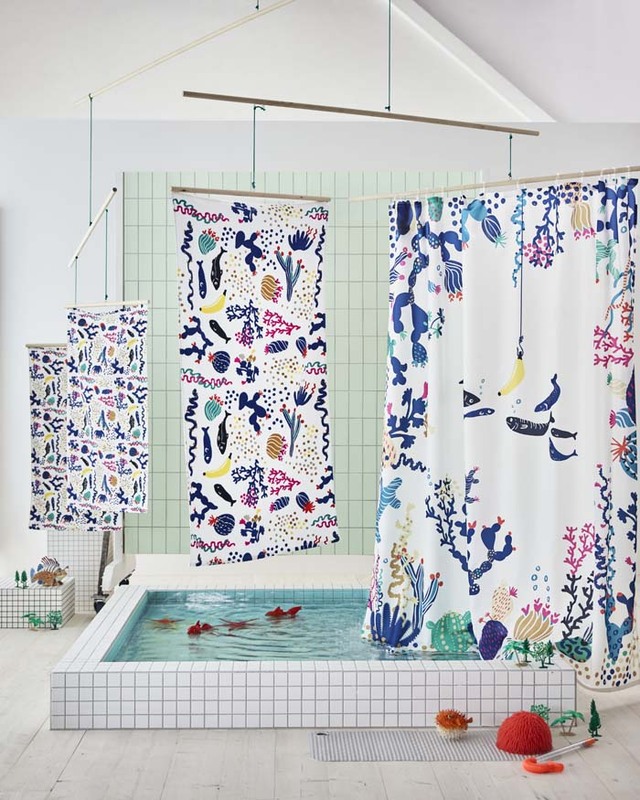 Speaking of showers, the BILLSJÖN towels and LASJÖN shower curtain feature a playful coordinated pattern with a maritime theme designed by Paulin Machado. 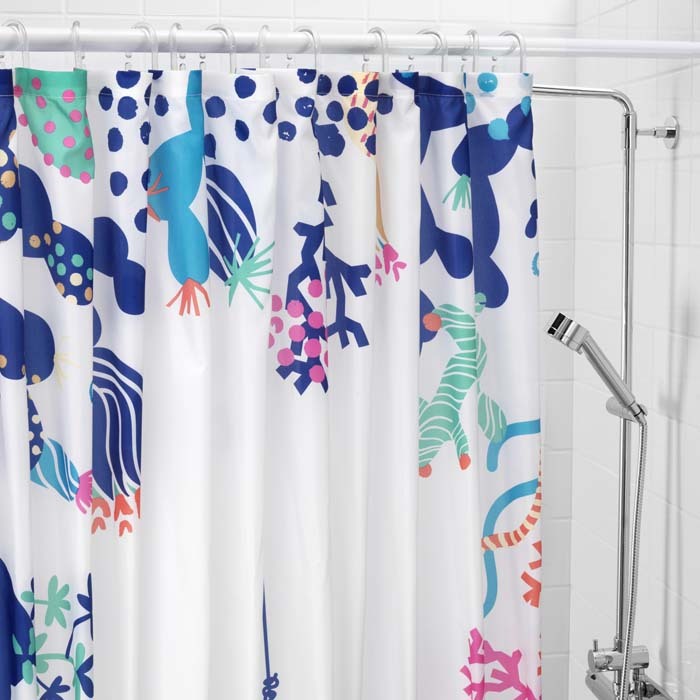 Shower Curtain $9.99 CAD, Towels $2.99 CAD to $7.99 CAD. (Above and directly below). 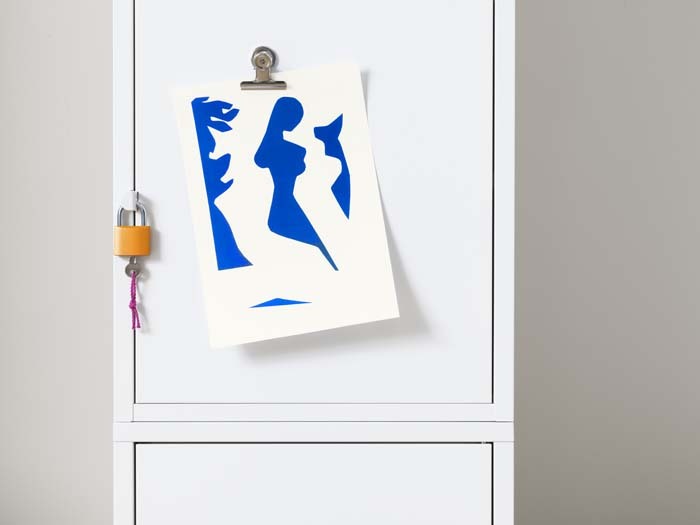 A new storage cabinet option that can be built to suit, be it small or large. And because it's made of metal it's also magnet-friendly. Cabinet $50 CAD /each. 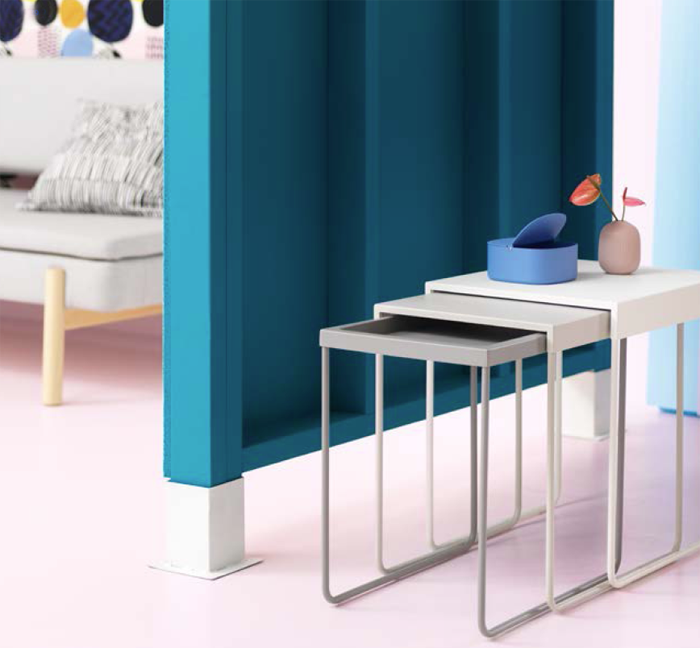 Together or apart, we're loving the GRANBODA nest of tables. 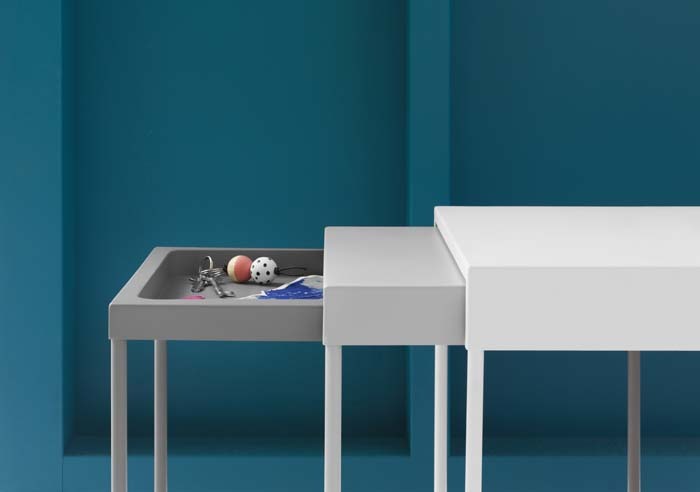 The smallest table can become a hidden storage space to put things away, but still close at hand if needed. Set of 3 $59.99 CAD. 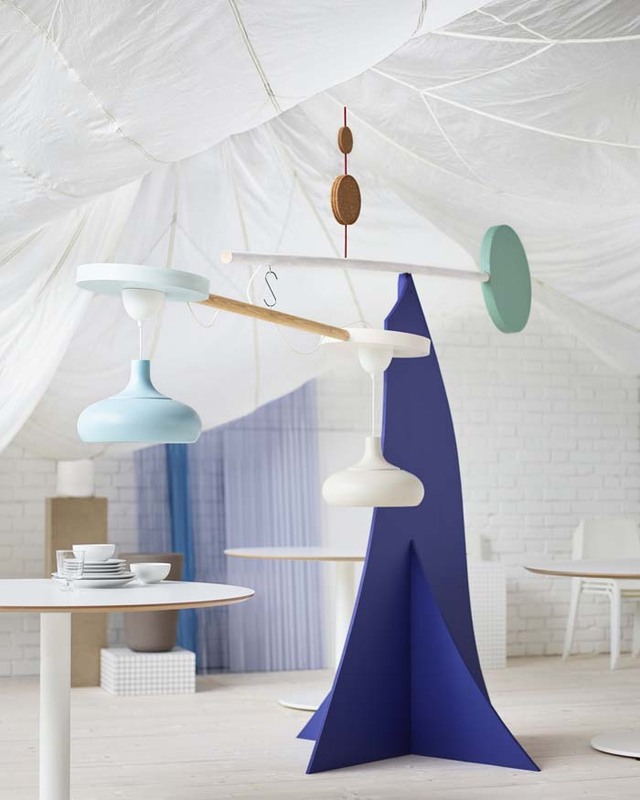 Designer: Jonas Hultqvist. 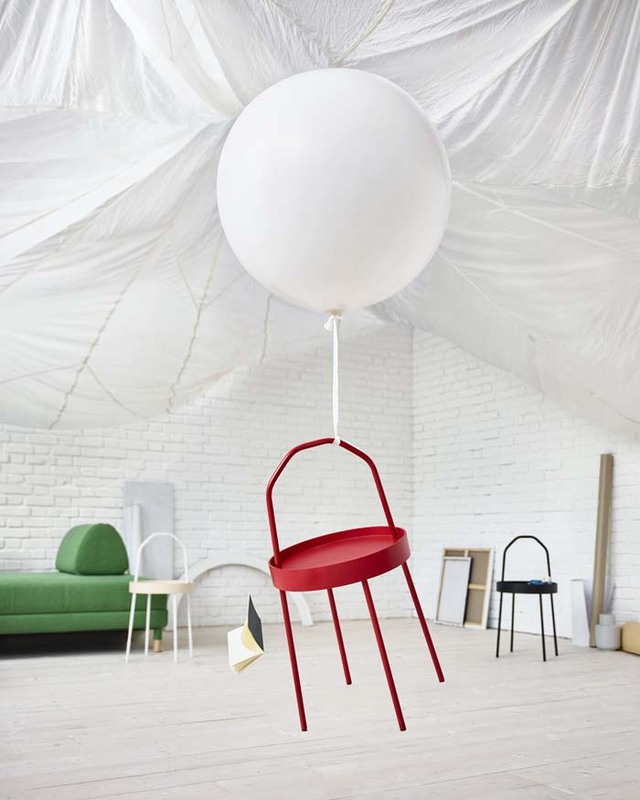 Comes in black, red and white with birch. $39.99 CAD/each. 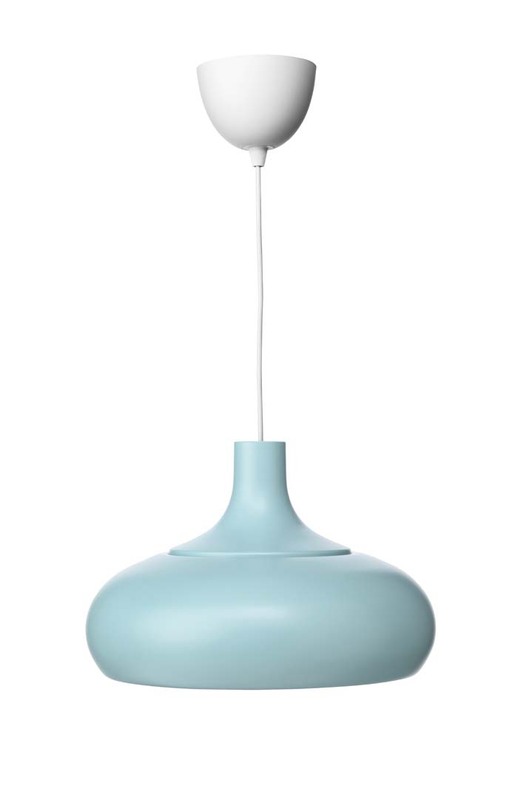 Made of aluminium, the VÄXJÖ pendant lamp comes in blue or a subtle beige. 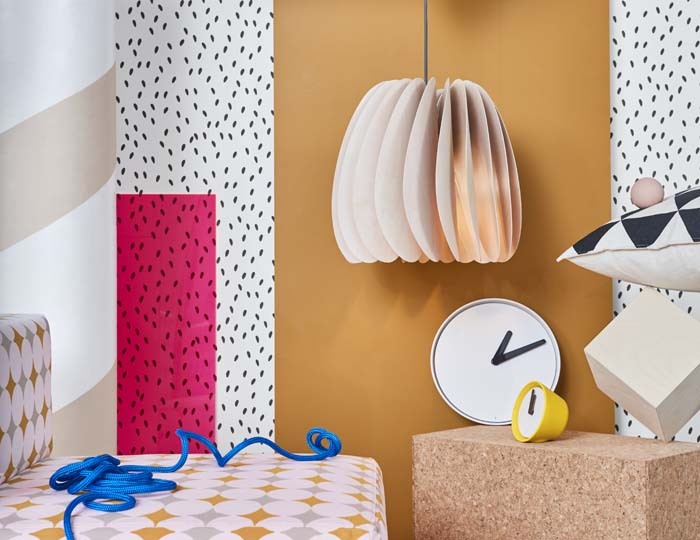 We like the snug-fit ceiling cup. $39.99 CAD. 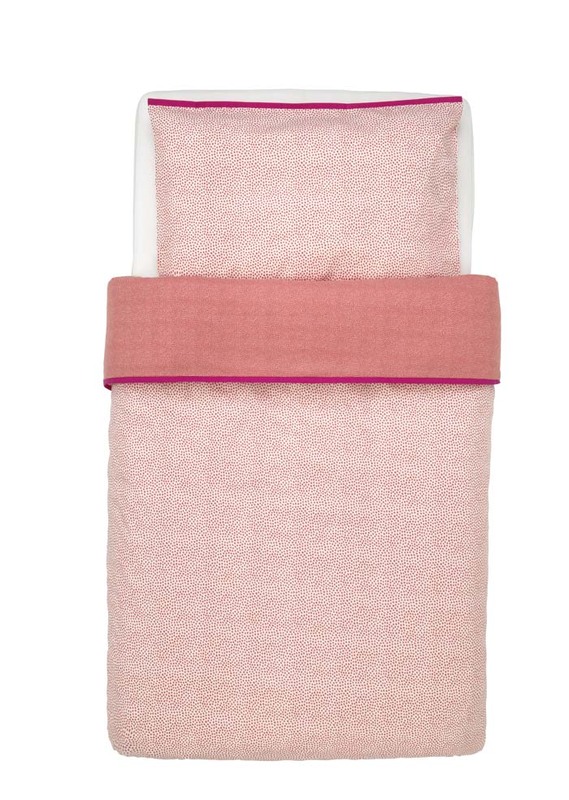 For the littlest ones, there's the new KLÄMMIG collection which offers up towels, quilt covers, a blanket and babycare mat. 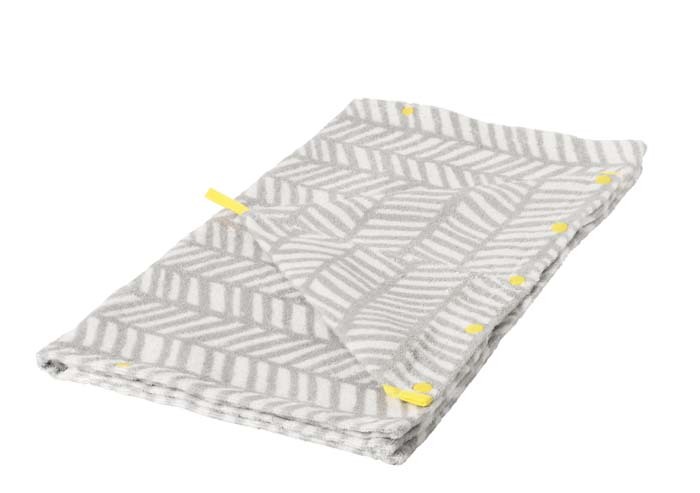 Also (not shown below), there are a few new children's and baby mattresses (made of foam) ranging in price from $39.99 to $79.99 CAD. 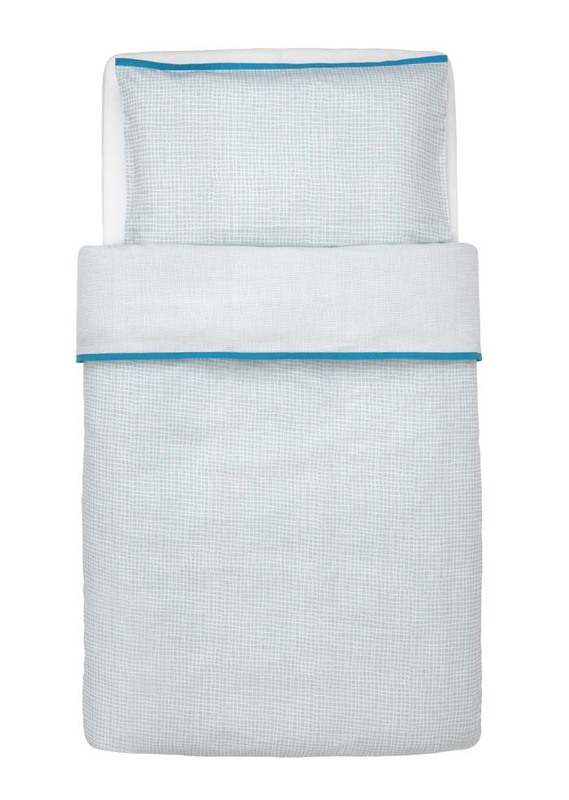 Towel with hood $7.99 (turquoise/red), duvet cover and pillowcase for cot $11.99. 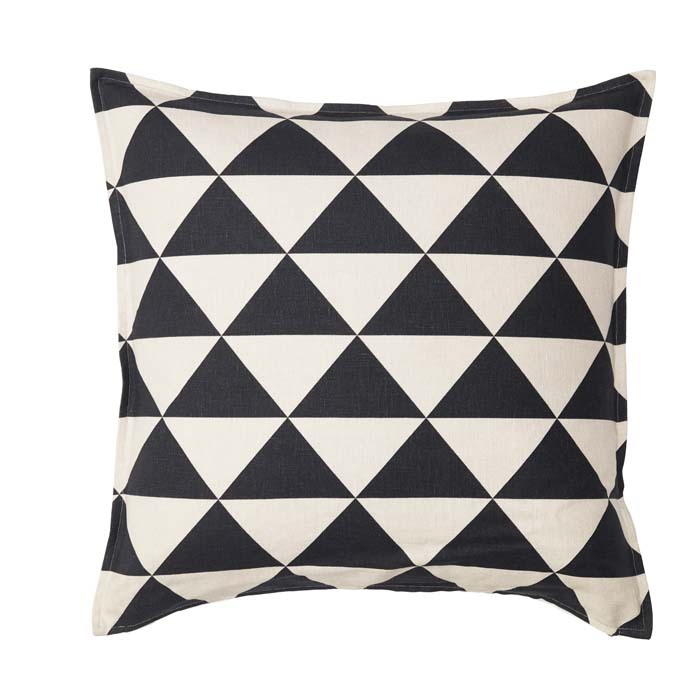 A bold graphic design that works well into many design schemes, the JOHANNE cushion cover is made of hard-wearing, natural 100% ramie with a slightly irregular texture that becomes part of the design. $14.99 CAD. 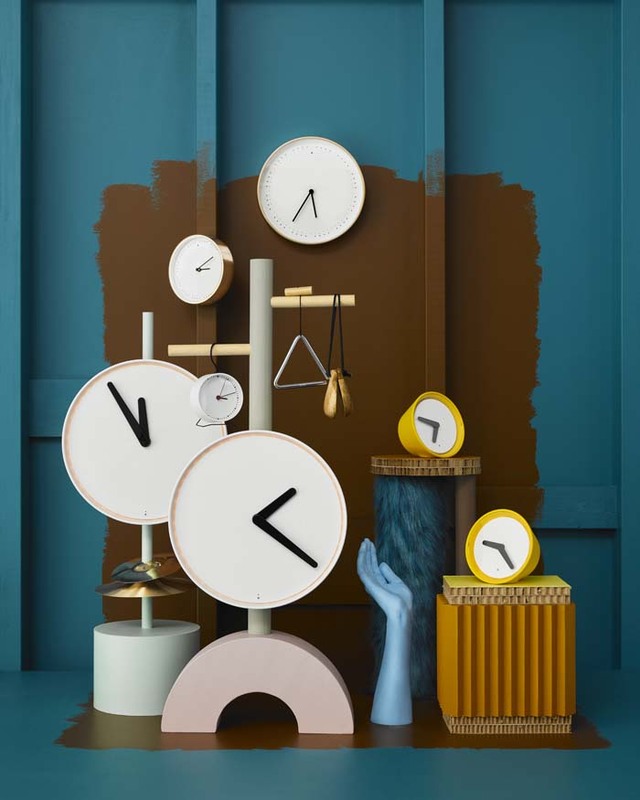 A new year also introduces a range of new clocks. 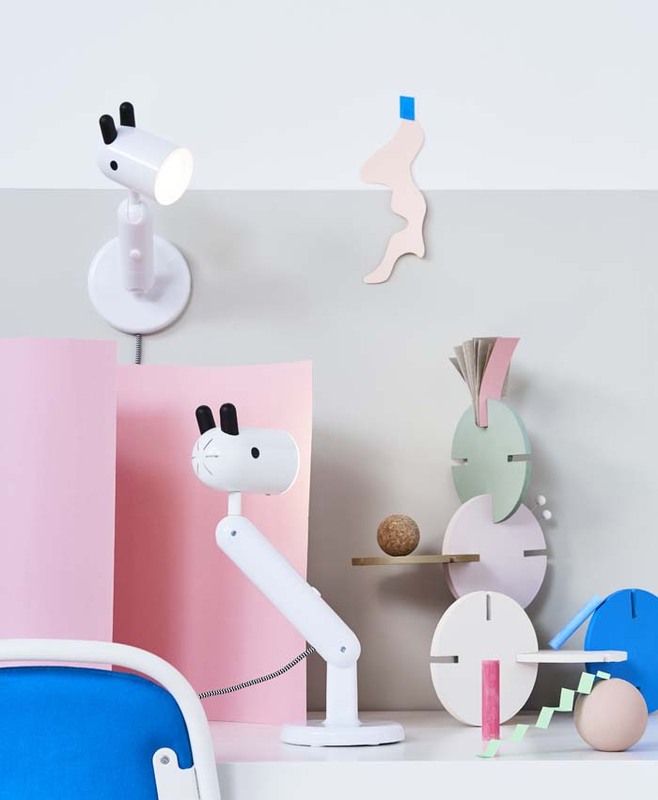 Some with built-in touch sensors that lights up by the sound of, for example, a clap, and alternatively an LED light that illuminates every fifth second. ANORERA wall clock $24.99 and clock $17.99. STOLPA wall clock $29.99 and clock $17.99/each. SNIFFA clock $12.99. PANORERA wall clock $24.99 Clock $17.99. STOLPA wall clock $29.99. Clock $17.99/each. SNIFFA clock $12.99. 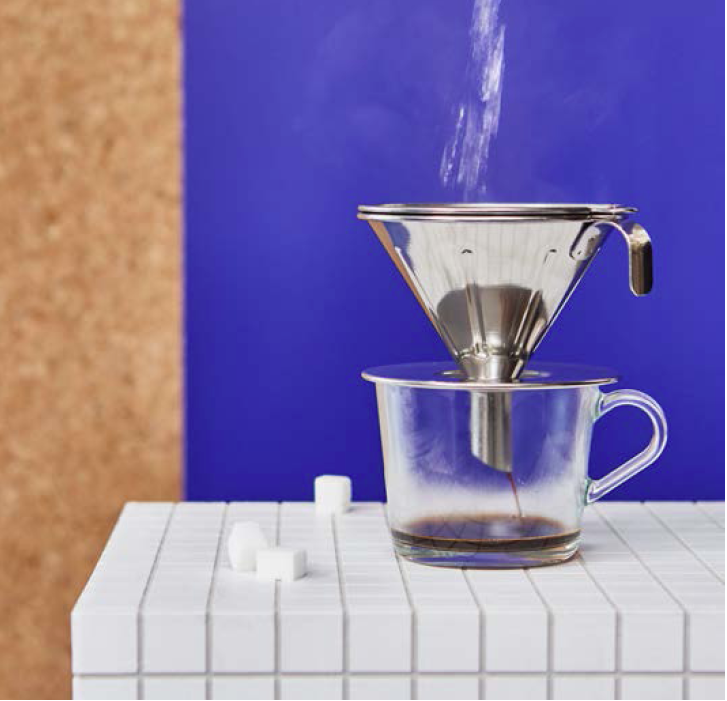 We're rather stoked to see a few additions to the coffee and tea department this year, first off with a more sustainable way of brewing, the ÖVERST metal filter that replaces the need for ordinary paper filters. As well as saving on resources, the stainless steel filter is supposed to give rise to a deeper and stronger aroma of the drink (one item we'll definitely be testing out in the near future). Also in the new range, there’s the TRÅDLÖS honey drip and tea measure coated in brass, giving tea time a more glamorous touch. TRÅDLÖS honey drip and tea measure $3.99 ÖVERST 3-piece metal coffee filter coffee set $12.99 (Update - the coffee filters will be available in April/18). Thanks for the sneak peak! 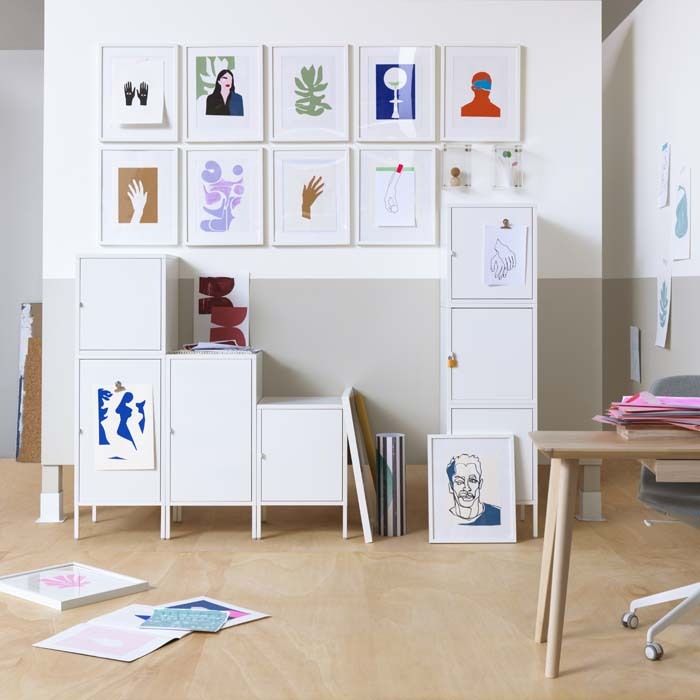 By any chance do you know if those great art prints in the photo of the cabinets will also be released at IKEA? Hi A. No word on them, but I'll see if I can get an answer for you.